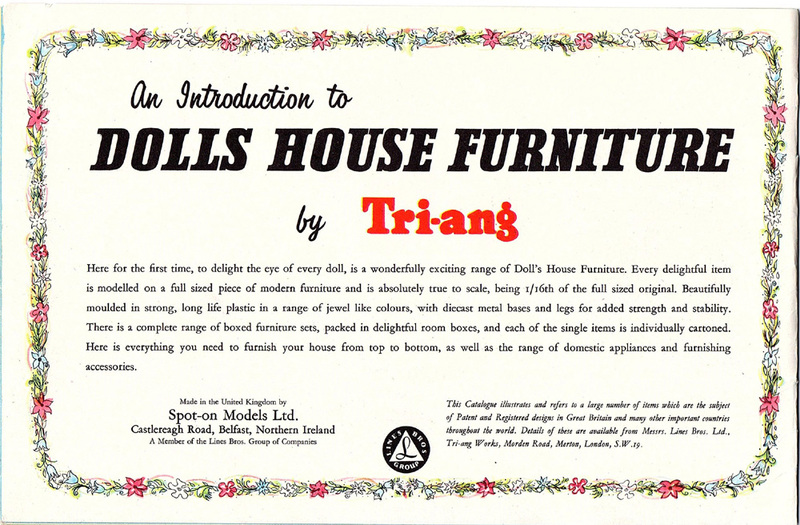 As the introduction to the Triang Spot-On Range of furniture Catalogue 1961 says, many of the items where available to buy individualy, [packed in very tightly fitting boxes] or in room sets. The packaging for the room boxes is harder to come by, I suppose once you get it out of the box, you have no use for it. 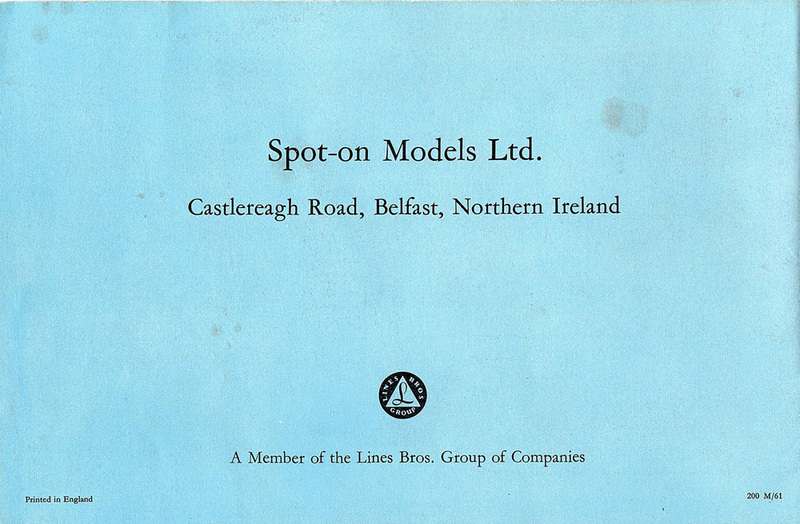 Forget about the collectors of the future, who love the boxes as well as the furniture packed into it. I am sure I never kept my empty toy packaging. 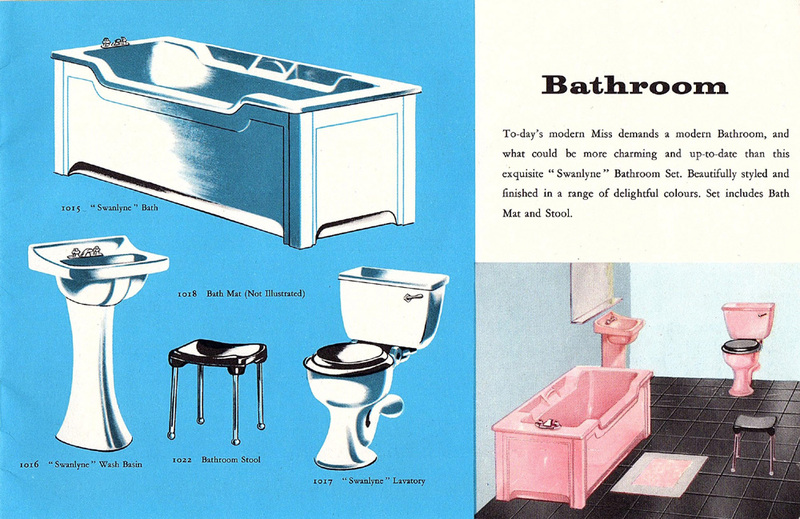 Very much written in the style of the time with a little ‘Modern Miss’ demanding a Modern Bathroom. 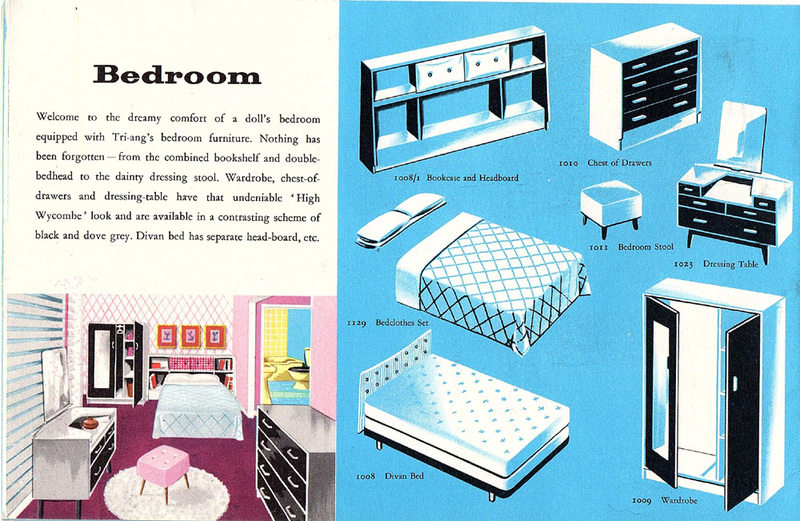 The catalogue shows black and dove grey Bedroom furniture, I have a black and white chest of drawers, but I have’nt seen a wardrobe or dressing table. [Perhaps dove grey is white?] 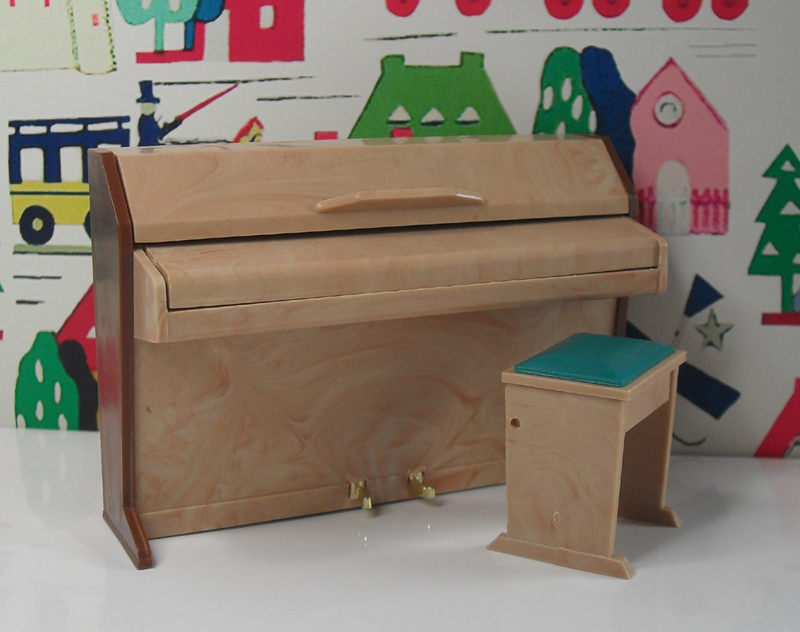 The description mentions the High Wycombe look, I have written a post about this style of furniture here. 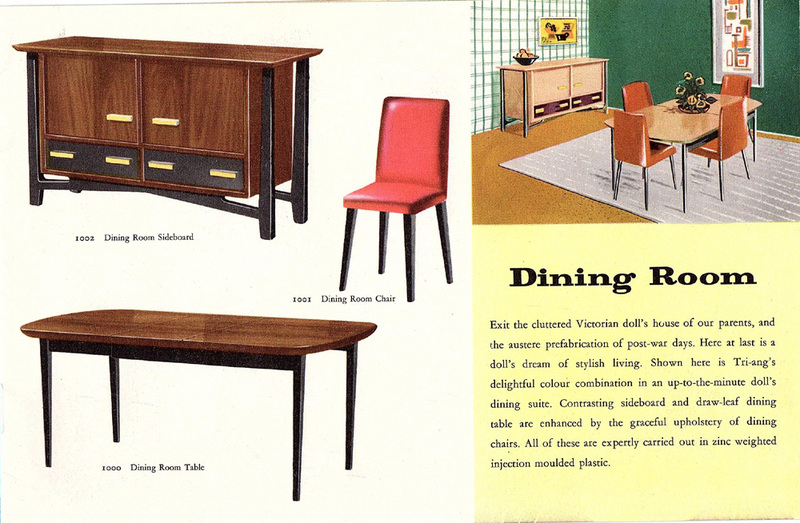 There is not a lot of Dining Room Furniture, but the chairs do come in various colours. 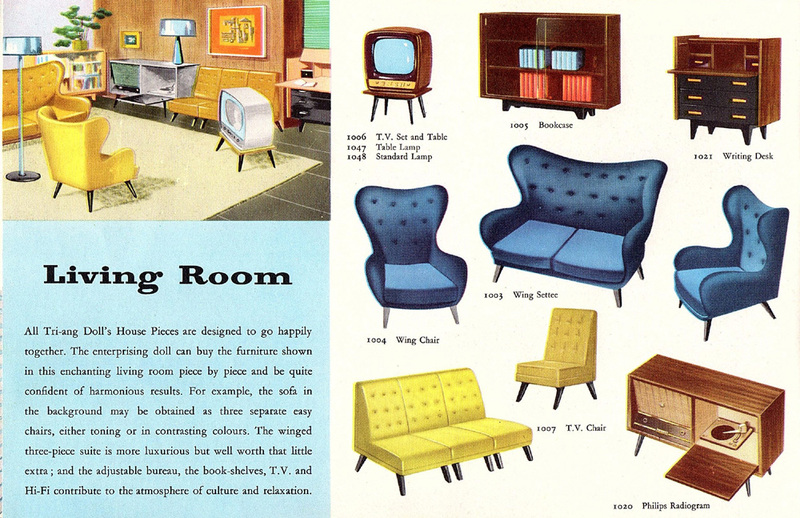 I think it would to be fun to have a Living Room with all the chairs a different colour. It makes me laugh that the Winged Three Pieces Suite is described as being luxurious, just as well toy dolls have hard bottoms. 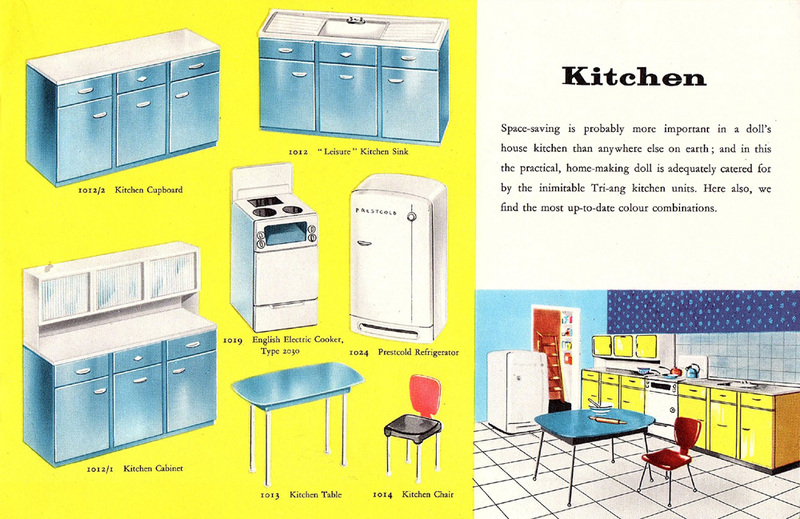 Well the ‘Home-making Doll’ has a wonderful up to date Kitchen. 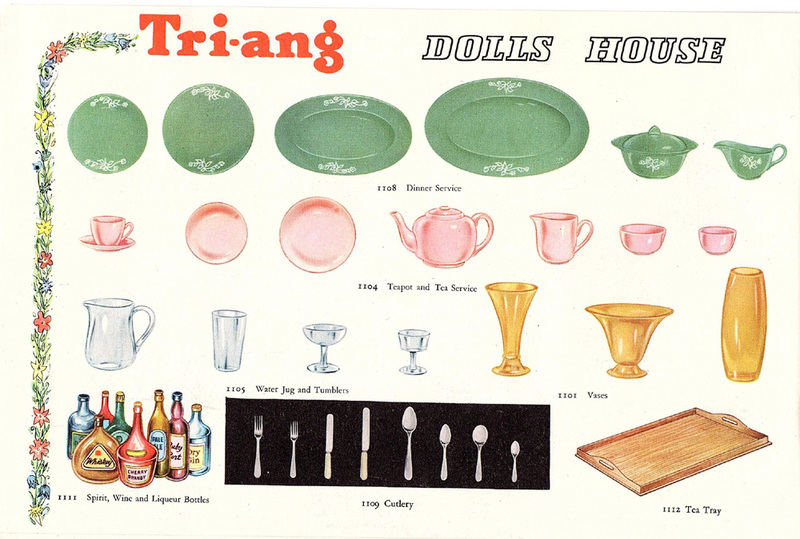 There is just so much to put in the Triang Kitchen, as extras could be bought such a a washing machine, dish washing machine even a broom cupboard. 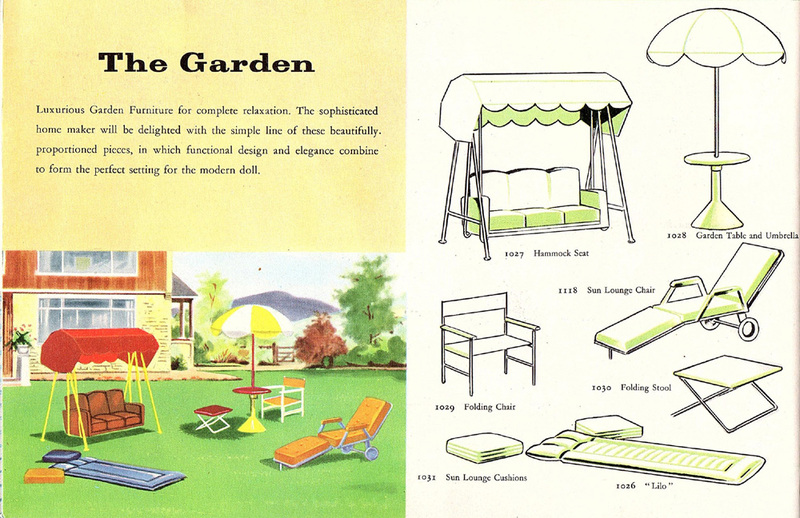 I have the Garden set, which consists of a Hammock Seat, Garden Table and Umbrella, Sun Lounge Chair and 2 Folding Stools. The box it is displayed and packed in, looks like a little garden. 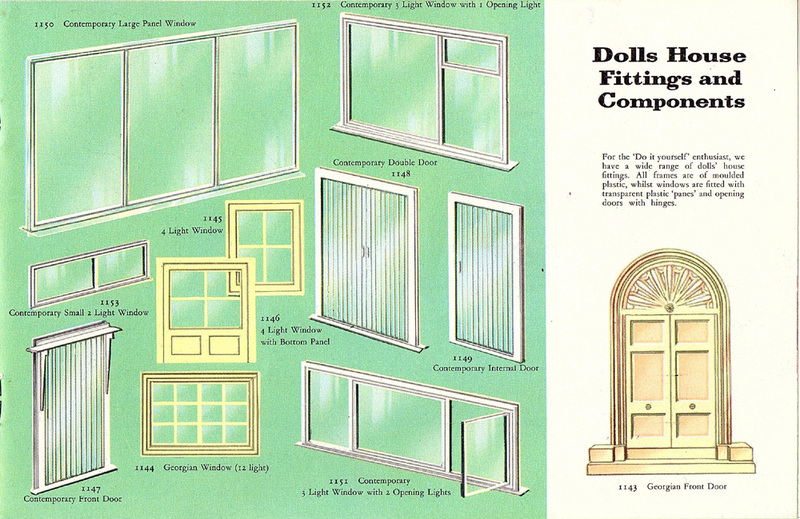 I recently saw a pack of windows sell on Ebay, they look similar to the doors and windows in my Bungalow A. 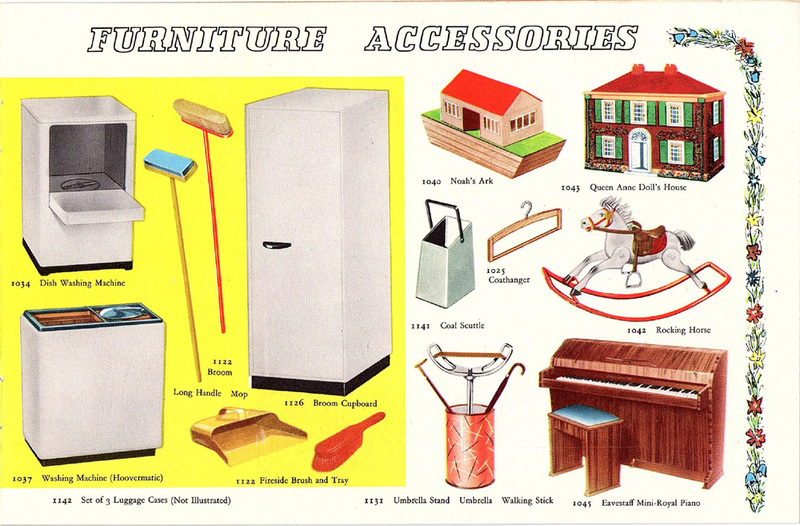 Its a shame the Accessories are drawings, as it is hard to identify them correctly. 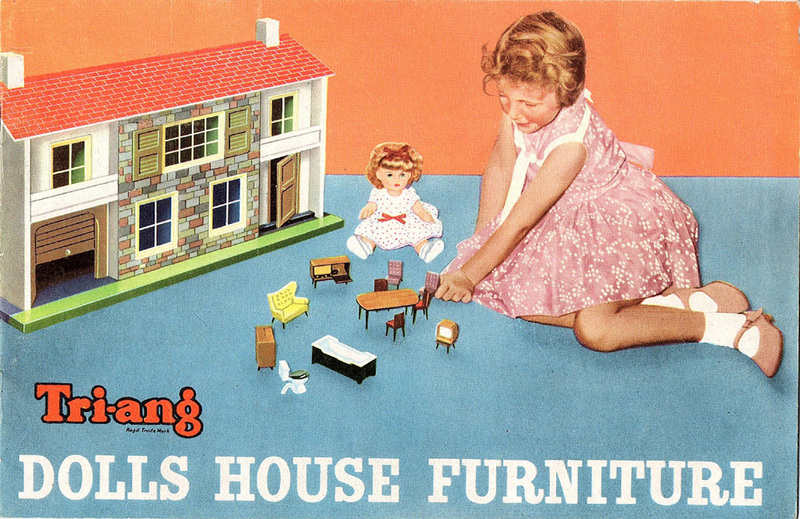 The Dolls House and the Ark look nothing like the picture above, being just moulded coloured plastic. On the other hand the Washing Machine [Hoovermatic] and Dish Washing Machine have incredible detail. 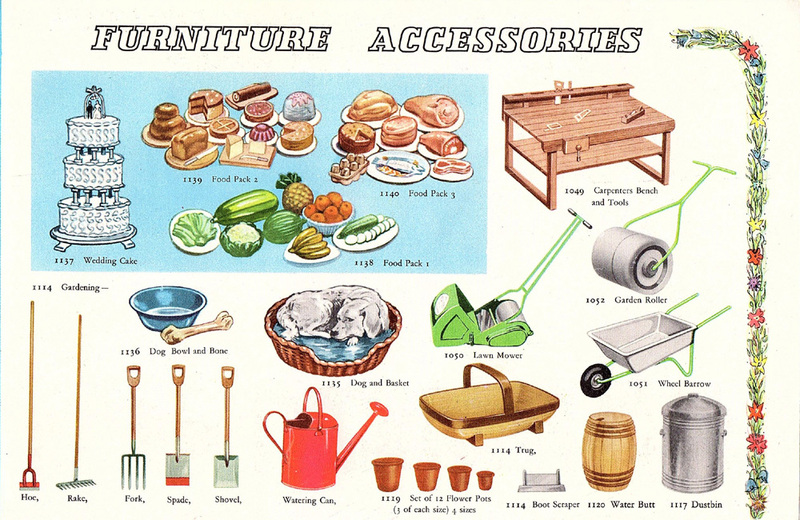 There are many things I would like from the page above, but as I said before they are so hard to identify from the drawn pictures. 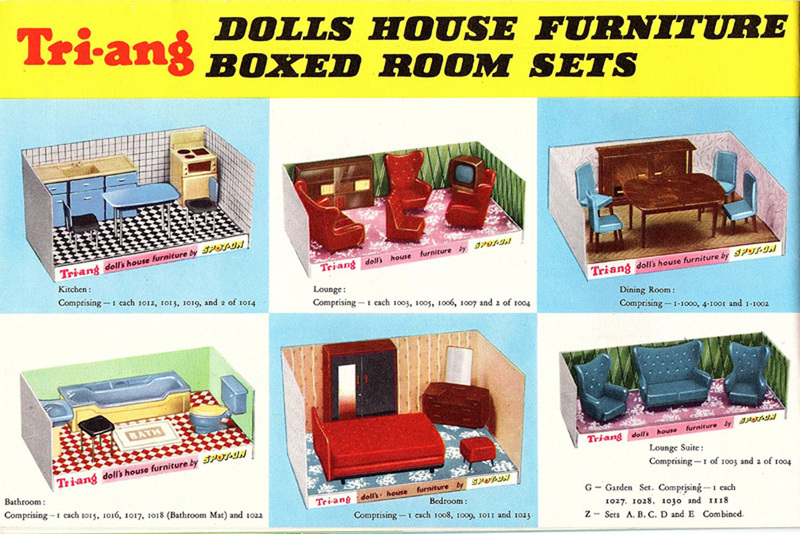 There were other Room Sets as well, I have a Garden Set and a Single Room Set. 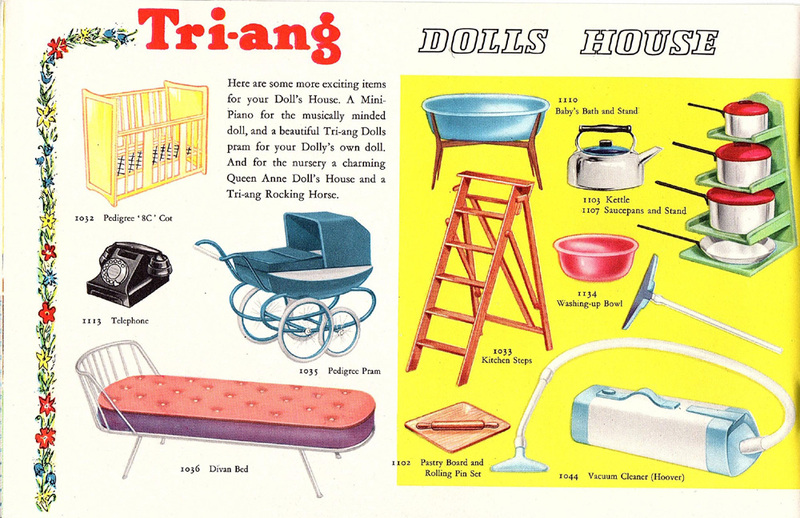 The Jenny’s Home Range had even more including a Dad’s Den. 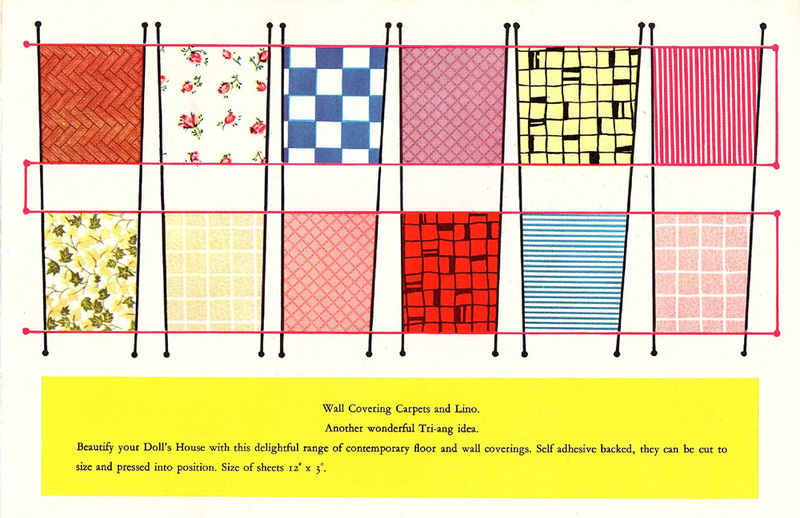 What a wonderful idea self adhesive backed floor and wall coverings, this would make life so much easier.